May Purchase 1 Certificate! May Purchase 2 addt'l as Gifts! NOTE: After purchasing, you must log onto Chef V website to schedule your cleanse. 3. Enter your Living Huntington voucher number under "Certificate #"
4. Enter LIV2016 under "Barcode #"
Isn't this the perfect moment to hit the restart button on your nutrition? Before reaching for a crash diet, consider a cleanse with the experts at Chef V. They take the guesswork out of the process so you can enjoy three, five, or seven days of healthy, nutrient-packed juices to help you shape up and feel lighter and full of energy! Choose the Chef V juice cleanse that works best for you. You can try the three-day option for only $109 (a $229 value), the five-day option for only $169 (a $369 value), or the seven-day option for only $229 (a $499). 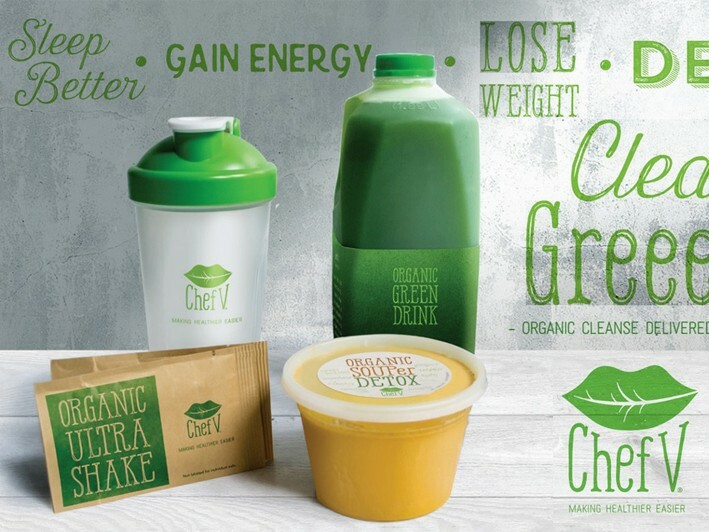 Your package includes four 16-ounce green drinks, two 16-ounce protein shakes, one bowl of detox soup per day and one organic detox tea per day...You'll also receive a 24oz. Chef V blender bottle, and very detailed instructions. You won't feel hungry but rather, satisfied and re-energized. This healthy and nutrient-rich meal plan can lighten and revitalize your body. Rid yourself of lurking toxins by flushing your system clean with the very best. 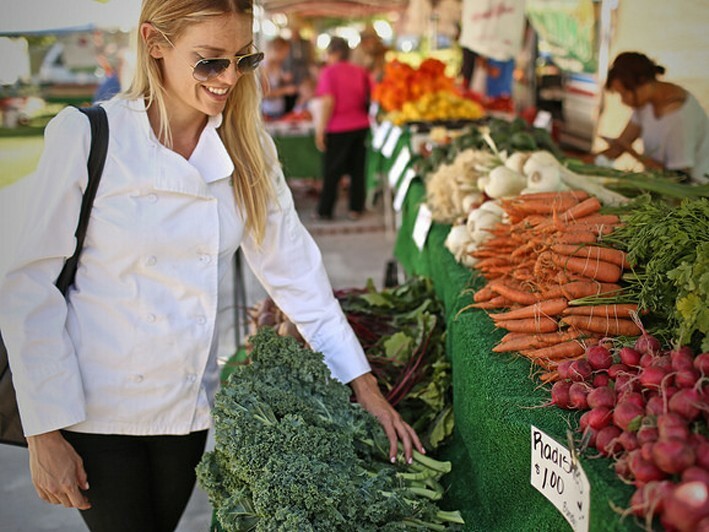 All ingredients in your Chef V products are organic, non-GMO, soy-free, dairy-free, gluten-free, and vegan. Anyone can jump on the juice cleanse wagon -- you don't have to be a "veg head" to give your body a healthful head start on its sleek summer shape! 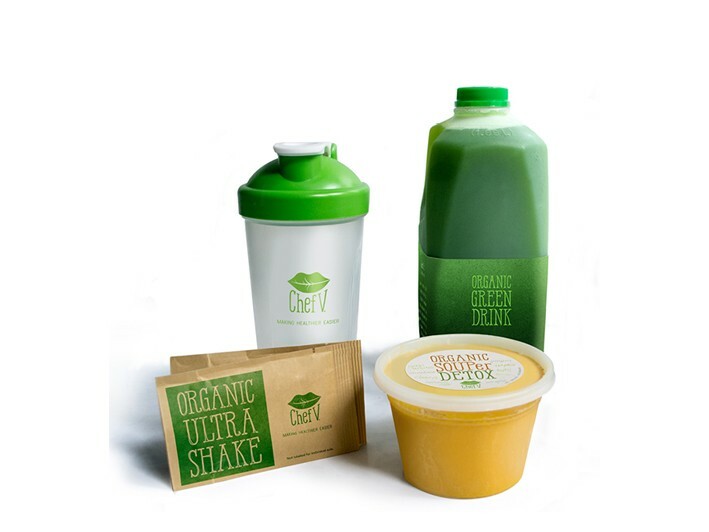 Chef V is an organic Green Drink & Cleanse delivery brand. • NOTE: After purchasing, you must log onto Chef V website to schedule your cleanse. • Includes 4 16-ounce green drinks, 2 16-ounce protein shakes, 1 bowl of Detox Soup per day and one serving of organic detox tea per day.